A felt class Liz did in California. Check out her vest and hat! Learn the basics of felting. 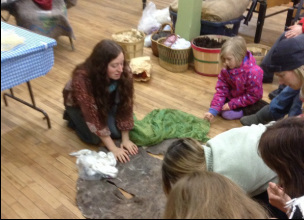 Typical Adult-focused classes begin with discussions on the history, mechanics, and culture of felt and felt makers around the world. 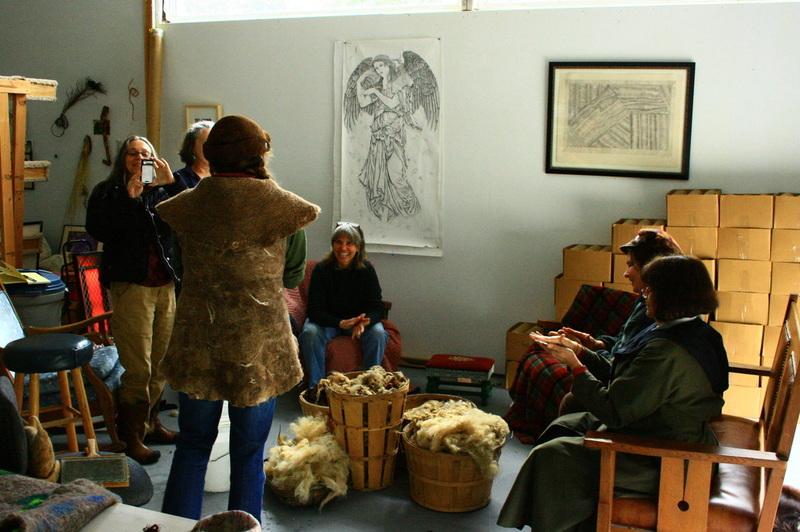 We then move on from there to prepping and laying out fiber, felting, fulling and shaping. Students choose their projects, typically they include hats and slippers or bags. Classes usually run about six hours long, with a break in the middle for lunch. 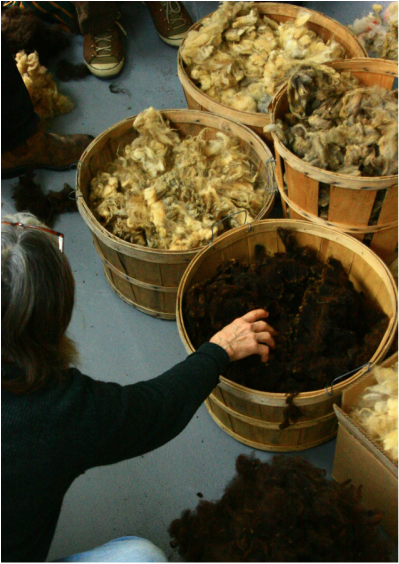 We'll begin with raw fiber, straight from the sheep and end the day with a finished product--still damp, but complete. Kid's classes are about two hours, less for younger kiddos, with some really sweet projects, parent/teacher help is much appreciated, and they usually end up wanting to make what the kids are making! Classes are held by request. Get together with your guild, group, or friends. Or get your child's school, summer camp, or troop together! Adult classes--ages 12 and up. Check out the Felt Gallery to see examples of Liz's work. 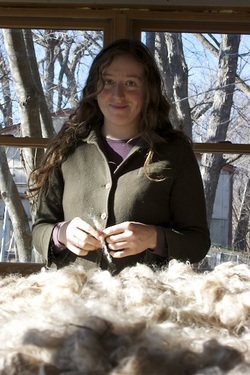 Raw fleece! Smelly, greasy, wonderful fluff! Felted clothing--hats, boots and vests, etc. Available directly through us and at St. Joseph Farmers' Market.